BONUS! Get started on your green dream with 3 of our newest floor plans. When it comes to eco-friendly materials and building practices, Confederation can’t be beat. When the “go green” trend became red hot a few years back, we didn’t have to jump on the bandwagon. That’s because we have been leading the way in green home building practices for nearly forty years. From the beginning, we have known that being proactive in using sustainable materials and practices not only produces better energy-efficiency in a home, but it also creates a healthier living environment and a stronger return on your investment. It’s a commitment to the environment and a commitment to our customers who, we know, want to feel good about the home they build. 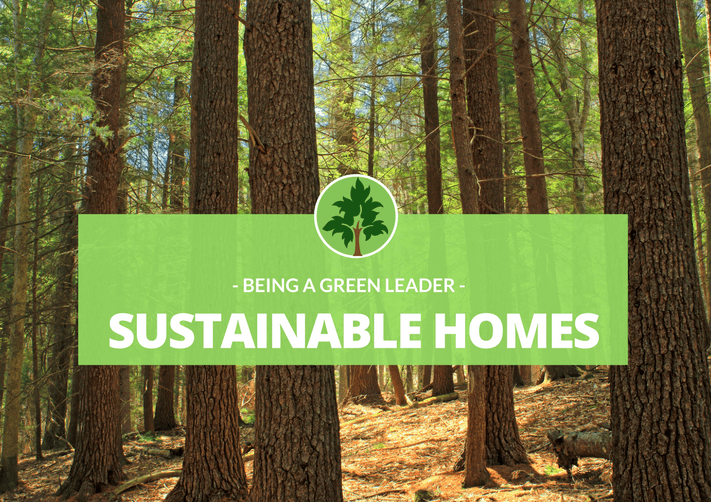 You can feel good about building one of our homes because from the harvesting of our lumber through every step of the production process, we are committed to doing things the right way, the eco-friendly way. For starters, we have purposely chosen a lumber provider who actively participates in a reforestation program. And we don’t just replace what we have taken away. The new plantings each year actually outnumber the trees we remove from the forest. In addition, we only harvest trees that are over 100 years old. If cutting down older trees sounds antithetical to the green philosophy, here’s the science-y scoop behind the process: once trees reach a certain age, they no longer contribute positively to the environment. Instead of releasing oxygen, they begin putting out the carbon dioxide they have stored up over the years. The timing of when we harvest is equally as important as the age of our trees. We only fell trees during the winter months when the seasonal snow cover protects the forest floor, resulting in minimal damage to the surrounding foliage. In all of these ways, we are contributing to the positive growth and future of the forests—and helping ensure you can feel good about building a Confederation home. Because we are committed to using every piece of of the tree that comes through our facility, we have found creative ways to use the scraps leftover from milling. Large lumber pieces are sold as boat blocks to marinas, while smaller pieces are bagged and sold locally as firewood. Even the sawdust finds new life as animal bedding at local farms. If you’ve read this far, environmentally conscious building materials and practices are clearly important to you. (We would high-five you if we could!) But a word of caution: If it’s energy-efficiency you’re after in your new custom home, don’t be fooled by new building materials labeled as eco-friendly, such as Insulated Concrete Forms. While ICF’s are energy efficient, the combination of styrofoam and concrete is far from eco-friendly. Only solid logs and timbers are energy-efficient and renewable and biodegradable. So when you go with Confederation, you know you are relying on a product that is energy-efficient and environmentally conscious. You don’t have to compromise one to get the other. Once you have built your Confederation log or timber frame home, the energy-efficiency of our product really begins to shine. Our logs have a performance value between R20 and R26. Read more on R-Value and the energy-efficient qualities of our logs. To put it simply, our logs will help keep your home naturally comfortable year-round and make it easier—and more cost effective—to heat and cool your home. The science behind how logs store and release heat is wrapped up in a term called thermal mass. Thermal mass is what will help keep your log or timber home cool in the summer and warm in the winter. While all logs have insulating properties, Confederation logs and timbers have an edge thanks to our drying process. You won’t find a carbon-producing kiln on site at our facilities. We air dry all of our wood over a period of one to two years, which produces a solid, air-tight structure once the logs or timber are stacked in your new home. Of course, the end result of our efforts isn’t just a more comfortable living environment or monthly cost-savings, it’s a healthier world over the long-term. Here at Confederation, we take the big picture approach. That’s why we are proud that logs and timbers create a safe, healthy home for your family. Wood is the only building material that doesn’t produce VOC’s, so the air quality in your Confederation home is going to be noticeably better than in a home made of concrete, steel, sheet rock and other man-made materials. We continue our big picture philosophy when it comes to your cost-savings. We aren’t simply interested in helping you save on your monthly hydro bill. We know that building a custom home is a major investment; that’s why we believe our home’s should last. We warranty every Confederation home for 50 years, but our expectation is that it’s only the beginning. With the right care and maintenance, your log or timber home can literally last forever. Our hope is that by using sustainable materials and building practices that Confederation homes will be passed on to multiple generations—a boon to your investment, your family and the environment.